5. 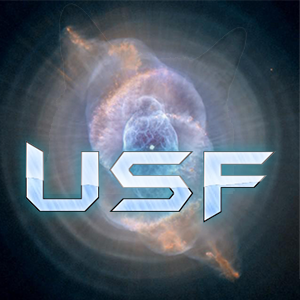 Why do you wish to join [USF]: Because I want to join a strong community. 6. How experienced are you in Plazma Burst 2? Explain why you feel this way or how this can be proved: I'm above average at PB2 when regarding glitches and self-boosting. I've played for the last five years or so [on a different account]. Just bring me to any saw map. 14. What will you do to benefit the clan: Try as hard as I can. 17. Explain why you had left these clans if you were in any:I was never in one. 19. Are you in our Discord server? Also, how often will you be online (daily) in our server and in-game: Depends on my parents. 20. How long have you played Plazma Burst 2: For 5 Years. Decent application, but you need to choose a faction in question 22. Sub-par application. It's required to choose a faction on 22 as Ian said. 7. looks a bit self-deprecating but fine anyway. I have no questions for this applicant. Look around! We're one and the same; same heart, same blood. Your training is in your blood. And my blood's boiling for a fight! Application Voided. Not fulfilling what others have asked for you to do to validate your Application. You may re-apply in 3 days if you wish to try again. Vive l'Empereur! Vive la France! Vive l'Empire!